Are you worried about missing your favorite cricket matches of 2015 World Cup due to your busy schedule? Here is an article to help you. 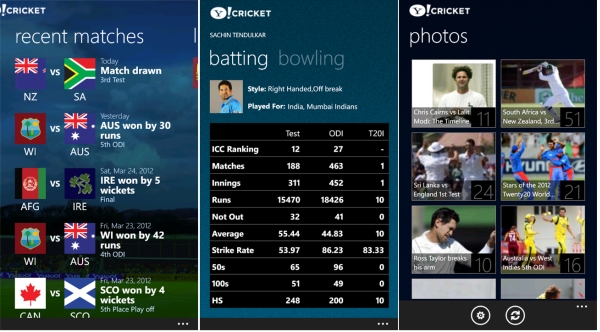 Go through it and know about the top 5 free apps offering live scores and commentary of ICC World Cup 2015. These apps give you the ball by ball score of the matches to be played in ICC World Cup 2015. As you all know that World Cup 2015 has just started and for cricket fans, they would never like to miss any shot of this tough competition among various world class teams. But sometimes it is not possible to watch the ball by ball live match on your TV because of some office work, travel or any other busy schedule. Missing the match of your favorite team takes you to utter disappointment but this year you have not to worry for your busy schedule as your smartphone will be always with you to keep you updated with the ball by ball score, commentary and highlights of the matches. For this, you just need to download the live cricket score apps from the app store of your smartphone. But now the question is that there are countless apps available in the stores related to the live score, so, which one to go for? The answer lies in this article. Below are the top 5 apps for your smartphone offering live score, commentary, videos and highlights of the World Cup 2015. This is the official app from the ICC council with the greatest features ever. 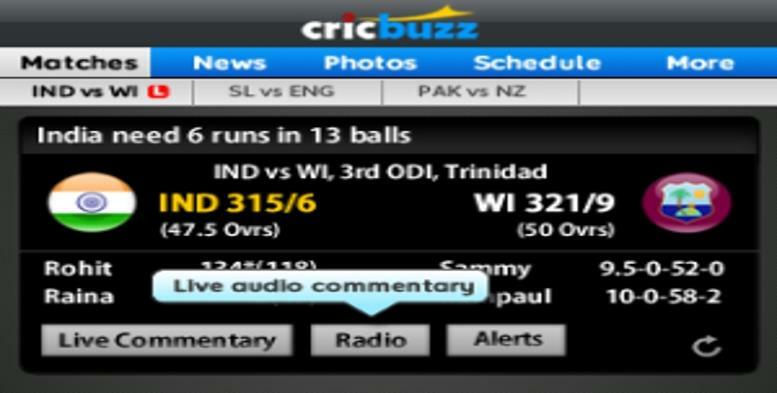 It provides you the ball by ball score with the fastest commentary to help you not to miss even a second of a match. It provides the after match videos, highlights and also the award ceremony details of the match. So, there is no chance of missing any information regarding any match of World Cup 2015. The ICC World Cup 2015 app also lets you know about the results, tournament stats, points table, ranking of teams and the upcoming fixtures on a go. So, just go for this app and enjoy the live match details on your smartphone whether of Android or iOS platform. 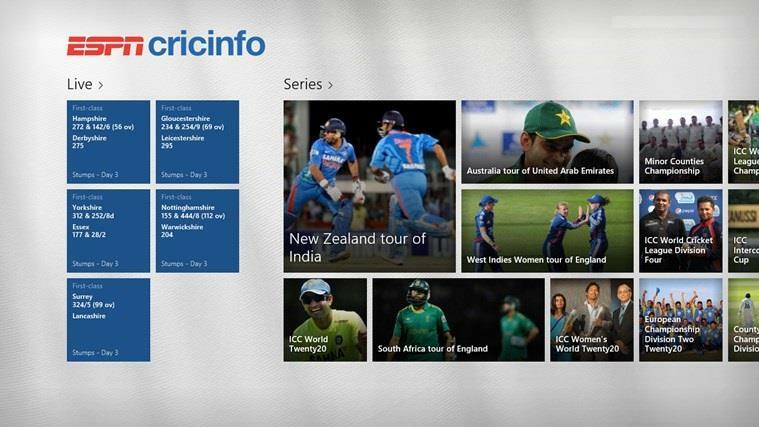 This app proves to be a perfect companion for the cricket updates. The ball by ball commentary and score keeps this app among the top five live cricket scoring apps. The other features include the exclusive news, fixtures, results, videos, highlights, social plug-ins (i.e. share the latest score on a go) and much more. You can also vote and predict the various questions posted by the admins in this app. Also you can vote for your favorite teams to show your support to them. The main feature of this app is that you will find quality articles written by some of the app team members which give you the complete statistics of the match. So, this app is really a great cricket score provider for your smartphone. Go for the ESPNcricinfo app and enjoy the match just like on TV. Cricbuzz is the ultimate app which offers you live scores and commentary of ongoing matches. This year Cricbuzz has included a separate section for ICC World Cup 2015 and hence you will not have to search for the matches separately rather go to the World Cup 2015 section and find the details of every match. This app also provides you with the ball by ball commentary and scores. An extra feature of this app is, it offers some audio commentary for some main events of the game which you can find in the audio section of this app and also the audio radio streaming for full match commentary. Other features like news, results, fixtures, videos, highlights etc are same as that of the other apps. But one thing I must say here is that when you compare Cricbuzz app with the other apps offering same features, you will find that Cricbuzz is the most rated app in the play store which gives you a solid reason to go for this app. This is yet another app named after the official channel name of 'Star Sports'. This app also provides all the features under one roof. The ball by ball score is displayed attached with the commentary. You can also watch the main event videos, some exclusive pictures, match highlights, list of upcoming matches and much more. There is one more feature available in this app i.e. the live video streaming. In the above mentioned apps, you need to download the videos you want to watch but in the Stat Sports Cricket Scores app, you just have to click on the video and it will start playing live. So, this feature makes this app to place itself in the top 5 apps offering the live cricket match scores of ICC World Cup 2015. This app is also an option for those who are using the smartphones with lower versions of operating systems as Yahoo Cricket is a very simple app which will run very fast on those devices than the above mentioned apps which can slow down such devices due to their low configurations. 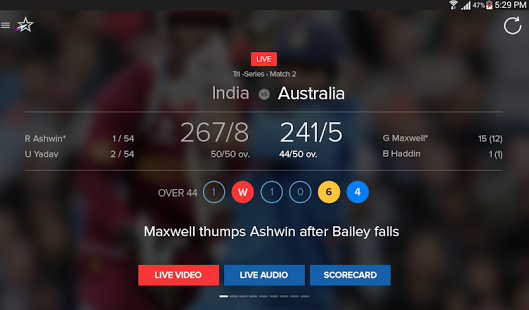 The features of this app are same as that of the other apps like providing ball by ball commentary, score, highlights, match results and fixture table. It also has a photo gallery to give the visuals of the main events of the match. This app works even in the Android devices having the OS version 2.1 or below. So, you need not to worry about the configuration of your smartphone, just download the Yahoo cricket app and enjoy the match. You can choose any of the above apps depending on you smartphone and your interest. I personally recommend the first one i.e. the Official app of ICC World Cup 2015 as it is the most authorized and fast score delivering app so far in the play store. Otherwise all the apps are great and you just need to have them installed on your smartphone. Download any of the above apps from your respective app stores and enjoy the ICC World Cup 2015 live. Also if you need any extra information about these apps, feel free to contact me in the form of response to this resource. I will be happy to help you by answering your queries. Cricbuzz has always been my favourite app with its deep coverage and clearer analysis. The other app I normally use is ESPNCricInfo for its inside news info. I have 3 or 4 of them installed on my phone including Yahoo cricket and Cricbuzz. Kudos to the author for coming up with a comprehensive list of cricket apps providing coverage of ICC Cricket World Cup 2015 event. I normally use Cricinfo app for daily cricket score updates, match reports and player interviews. Recently, I have started using the official ICC CWC 2015 app and Star Sports cricket app only for the World Cup event in Australia and New Zealand. It is amazing to catch up live streaming of cricket matches on smartphones using these apps. I watch only Team India matches on TV, while for remaining team matches I watch the highlights on such apps.